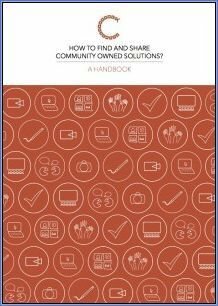 A key results of the project was the Practitioner’s Handbook: How to find and share community owned solutions? EDRC's Executive Director, representing IES, served as Assistant Manager for the project. After the completion of the initial Cobra project the partners formed the Cobra Collective which seeks to empower marginalised communities by helping them identify, record and promote community owned solutions. These solutions are born in and carried out by the communities themselves, in ways which are environmentally sustainable and socially fair. The Collective’s role is to help you provide support in identifying successful community owned solutions and creating the conditions for these solutions to flourish. the group works to provide an approach that is fundamentally transdisciplinary and holistic, supporting practitioners working in the fields of development, nature conservation, health, natural resource management, social welfare and education.